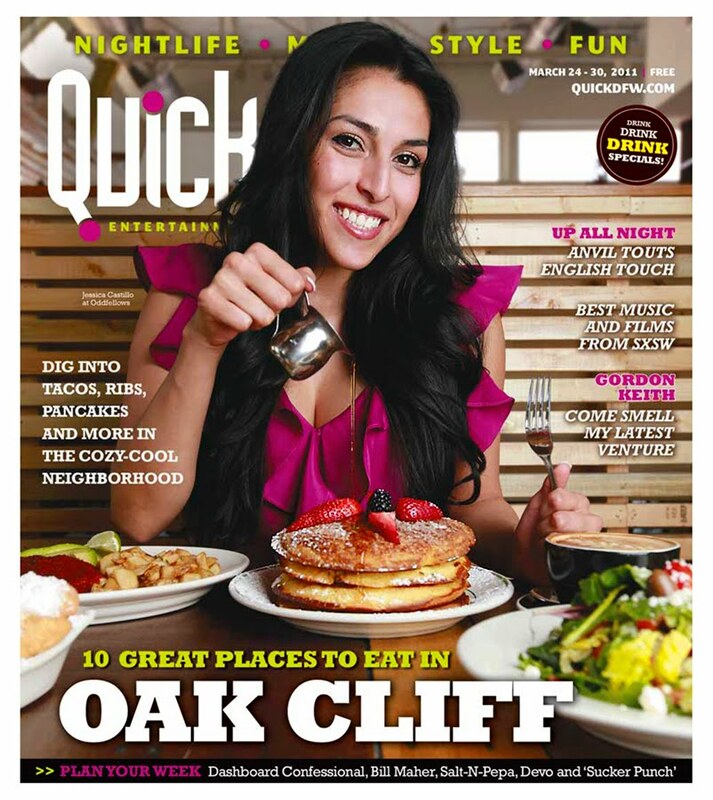 I can’t help but love shooting covers for Quick (the best weekly publication in Texas). They are always fun, challenging, exciting and different! 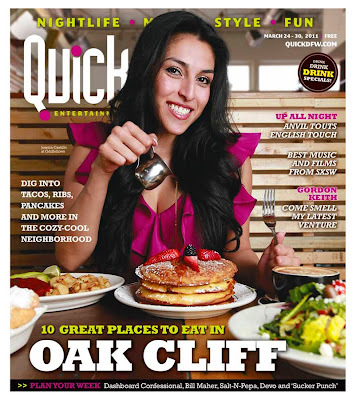 Here are my cover shots from this week and last week. I hope you enjoy looking at them as much as I enjoyed shooting them! If you want to see more of my Texas editorial photography, please click here. I have done a lot of photography for charities and non-profits. I’ve also donated a lot of images and money to important causes. 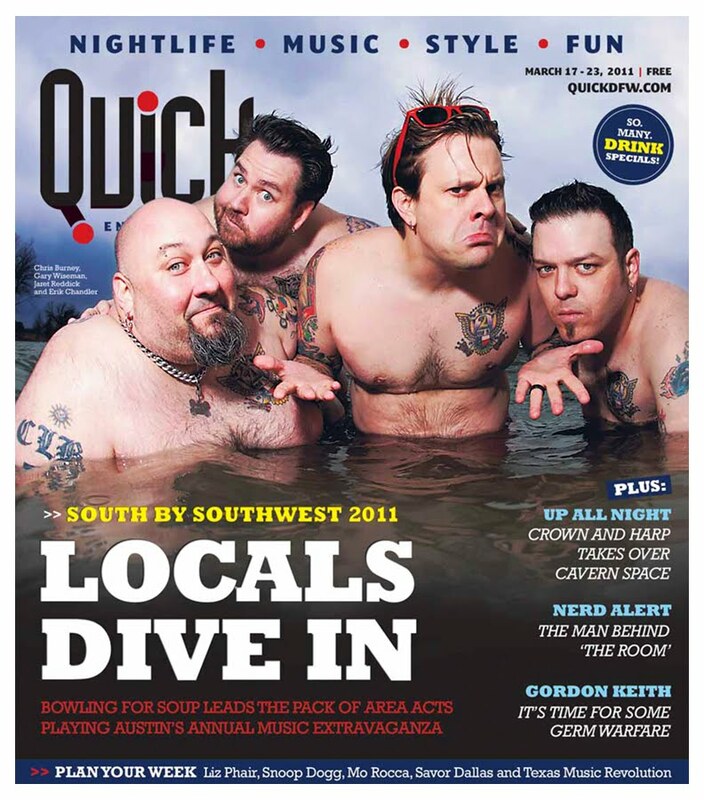 I know a lot of Dallas photographers who have also put their heart and soul into important causes. I think photographers in North Texas just seem to be very caring and connected to the community. Of course, it’s even easier to help a charity when you have family connected to it. My two nephews have Cystic Fibrosis and they are ambassadors for finding a cure. They are participating in the Great Strides network, with the help of their parents, to raise awareness and financial help towards a cure. Since they needed some new photos to accompany their story, who else would they call, but their uncle?!? 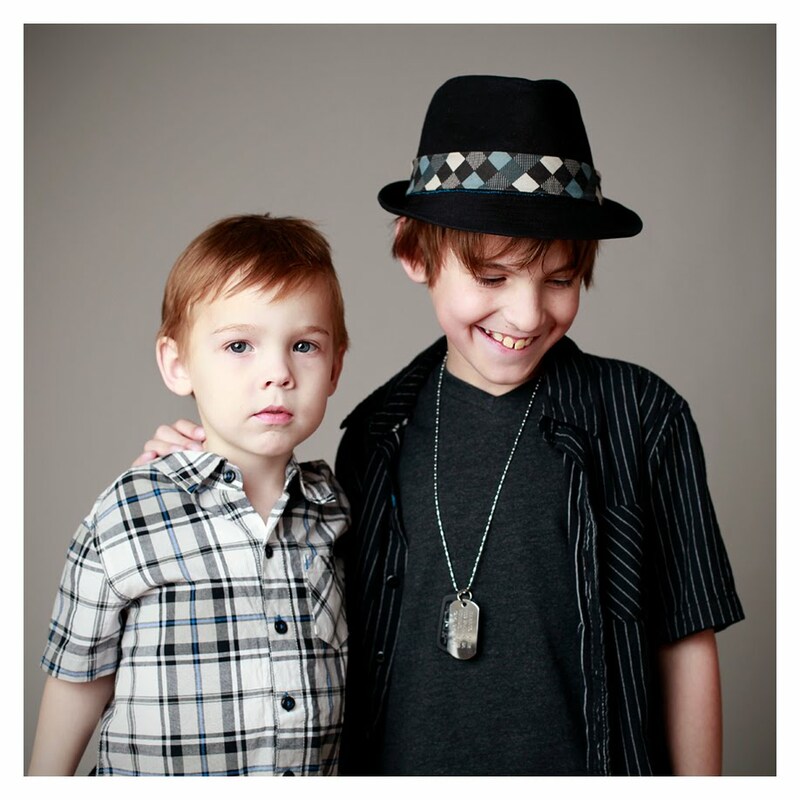 This was one of my favorite images from the photo shoot… a nice, telling portrait of the boys. To see more of my photography, please click here. It’s fun being a photographer in Dallas. There is a lot to shoot here – events, landscapes, architecture, celebrities, politics, portraits, spot news, fine art, and the list goes on and on… However, sometimes you just want to stay in the studio and play around with the camera. That’s how I felt the other night. I decided to practice some shooting with a very unpredictable subject… water! Technically, I didn’t stay “in” the studio for this shot. I actually set up right outside, since it was going to be a very wet and messy shoot. I like shooting water as it splashes and flies across the image. It can make for some very dynamic photos. 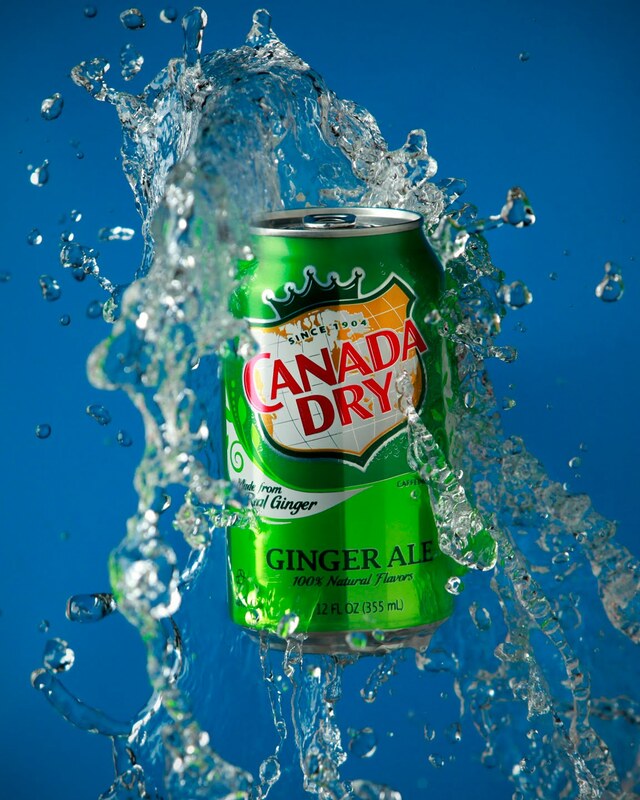 Now, if only Canada Dry or another soft drink brand would hire me. 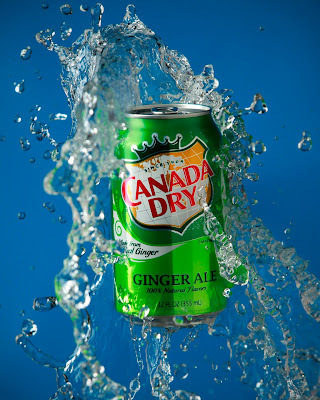 I love shooting for all the newspapers and magazines that regularly call me, but it would be nice to add a major soft drink manufacturer to my resume! For more of my photographs, please click here. Have you ever looked at a strawberry? I mean really looked at one up close? Sometimes everyday objects can be a lot of fun to shoot. 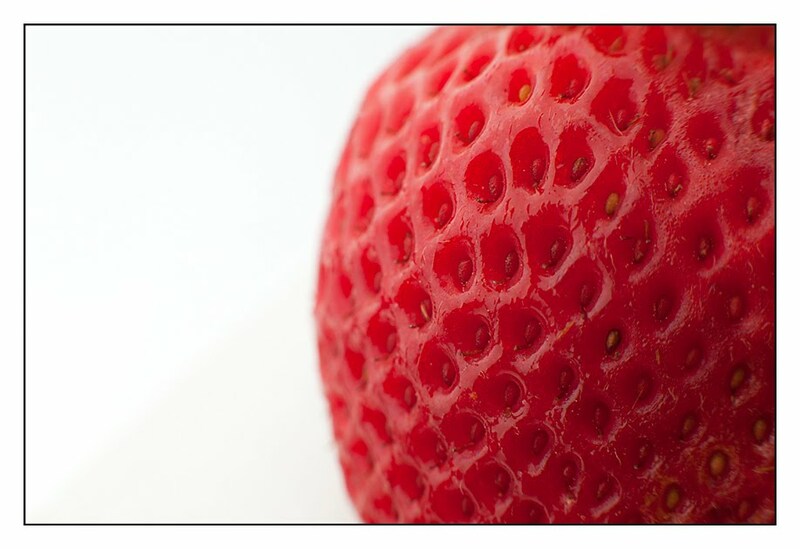 Pull out your macro lenses and extension tubes and start playing around with household items. 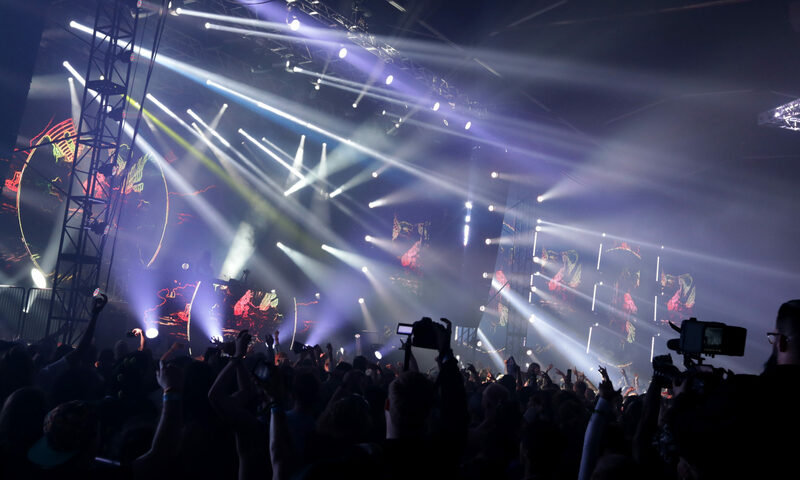 You’ll be surprised at how much fun you’ll have! A good photographer can shoot almost anyone almost anywhere. A good photographer will always come back with a good shot and make his/her editor happy. However, it does help when you have a history with your subject. There will be a built-in rapport that allows you to go bigger and better with your ideas, and the subject(s) will trust you – even if your idea sounds a little crazy! I’ve shot several of Bowling For Soup’s album covers, posters, singles and promo shots over the years. The guys have come to trust me as a kind of “go-to guy for photos”, knowing I will ALWAYS deliver something good! When they needed promo shots for their upcoming album release, they called me. It was kind of last-minute but we’ve worked together enough that we were able to jump right into things. 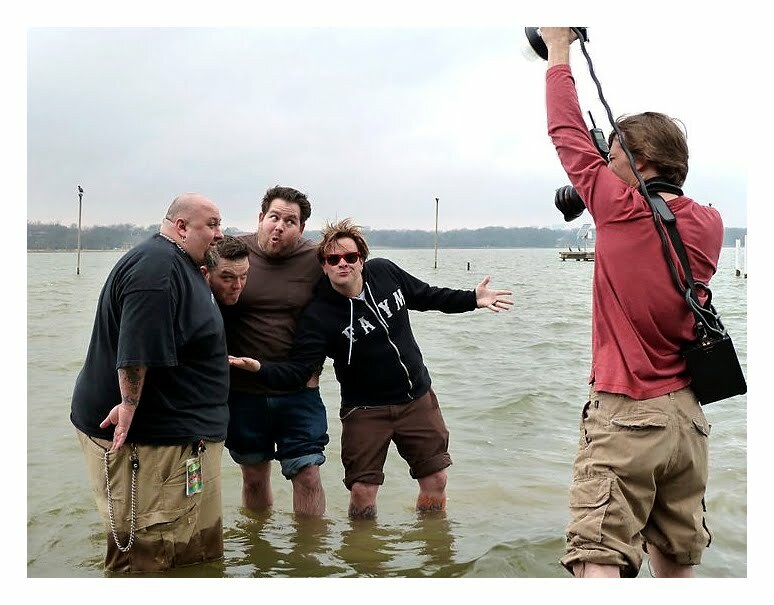 That’s how we wound up in a freezing lake (yes, Dallas, TX does get cold during the winter). Having worked with me enough, the guys knew to trust me when I pushed a wild idea over into the realm of insane. This was polar bear weather, with near freezing water and the sky was starting to open up with rain! And yet, they didn’t hesitate to disrobe and jump in! The shot worked out great and has already started making its way to media outlets. It’s funny that one of the first publications to use it would be Quick, a publication I’m usually hired to shoot most of their covers for. It seems like even when they use promotional pictures instead of contracting me for a custom shoot, they still wind up using my stuff! 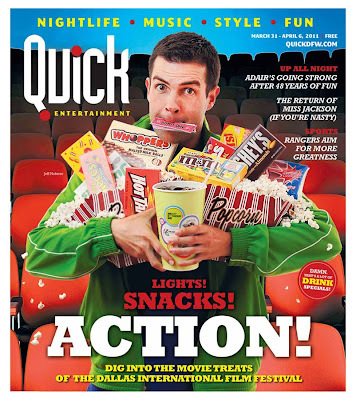 But, I can’t blame Quick… after all, they are an amazing entertainment magazine and they know a fun photo when they see it. I know their readers will be happy when they pick up this issue… it just looks like a wild, fun issue to me! So, the moral of the story? If you can build a history with your subjects, you’ll have a much better time getting those killer shots – even if it means wading in thigh-high freezing water while you carry ten grand worth of photo gear across slippery rocks. But, that’s another story for another day! Some of you may remember me talking about my sudden onslaught of Piano Bar photo assignments that came from my clients several weeks back. 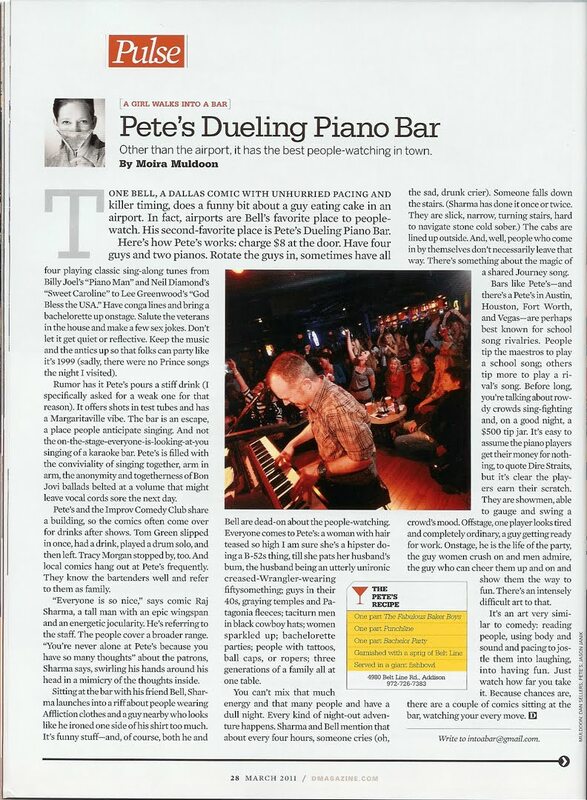 Well, here is another piano bar story in print, this time in the fabulous D Magazine. 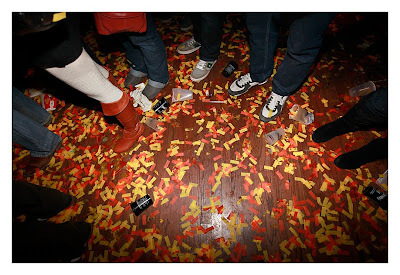 As fun as the piano bar shoots were, I think I’ve had my fill of those places for a while. 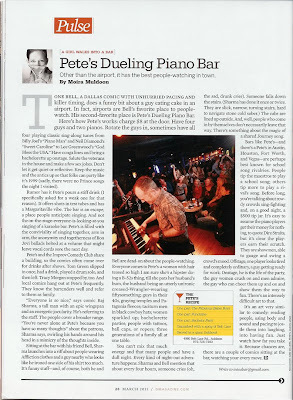 Well… I say that now, but you know I’d jump on another piano bar photo shoot in a heart beat, if someone called me up. I’m just a photo shoot junkie, I guess. 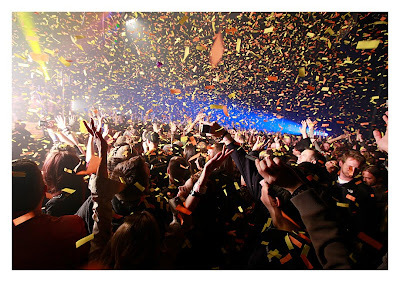 If you like these concert crowd photos, you should check out my other concert photography here. I love photographing musicians, and I’ve had the chance to shoot a lot of them over the last fifteen years or so. I really enjoyed this recent cover shoot with Ray Benson of Asleep At The Wheel for American Profile magazine. 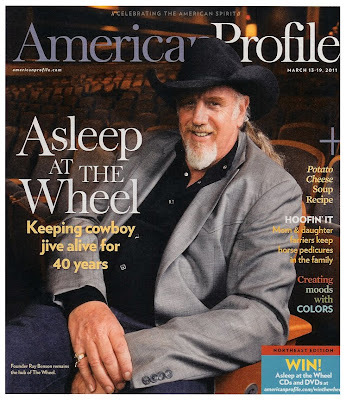 And the best part is that I not only got to hang with the country swing legend, but I also got to meet and talk with Willie Nelson (you can see my picture of Willie inside the magazine on the second or third page of the story, or online here). Who could complain about meeting and photographing two music legends?!? 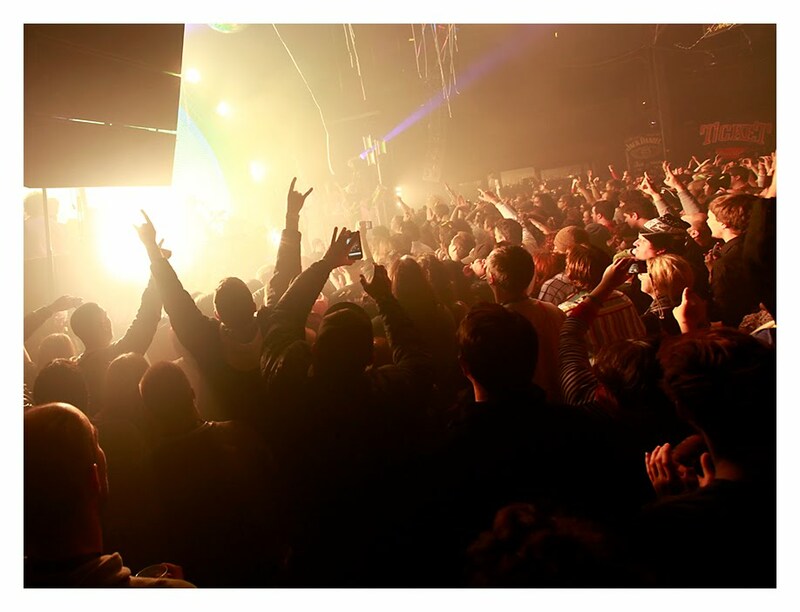 You can see more of my music images online here. Shooting white on white can be hard sometimes. You need to have the product look white, but you also need enough shadow and detail held to separate it from the white background. This is something that the best product photographers in Dallas can do with their eyes closed and their hands tied behind their back. Usually, I’ll practice shooting white objects on white during my downtime, because it’s kind of like riding a bicycle – Once you learn how, you never forget; but you’ll need to practice regularly, if you want to be great at it. Even though I shoot a lot more people/lifestyle photography here in North Texas than I shoot products, shooting white on white is still a critical tool to have. OK, so my white slip covers could use a wash… you can see the discoloration around the arms. I also think part of it is the fact that the material is more of a natural white than a bright white. 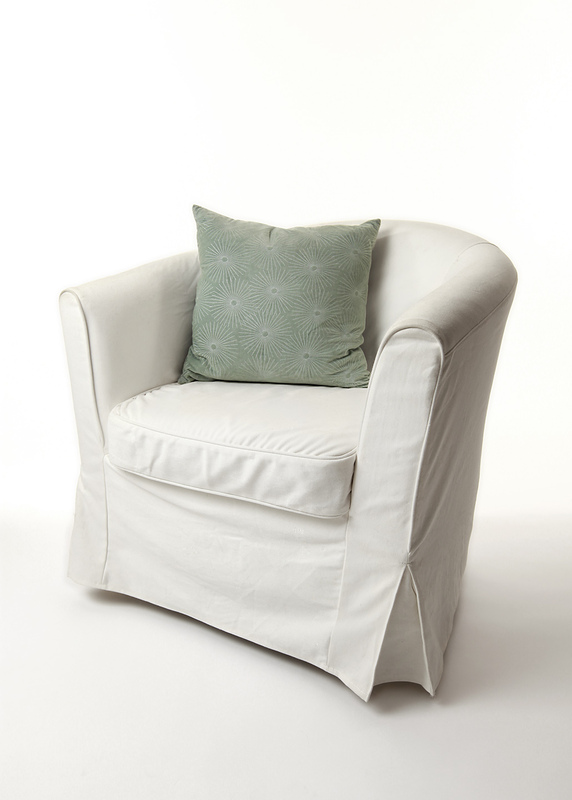 However, this cheap Ikea chair is still a great practice subject for photographing white on white. Now, go find something white and shoot it on white! It makes for a great photo practice exercise.